Sunny and windy most days. Strong, from the E or SE. 15-25 mph. Highs in the low 80's, Lows around 70. Windy weather reduced the amount of available open water. Fishing in the lee of the mangroves produced many tarpon and snook. Fishing the west side of Ambergris Caye and smaller cayes produced bones and permit and offered wade fishing opportunities. Happy New Year to one and all!! 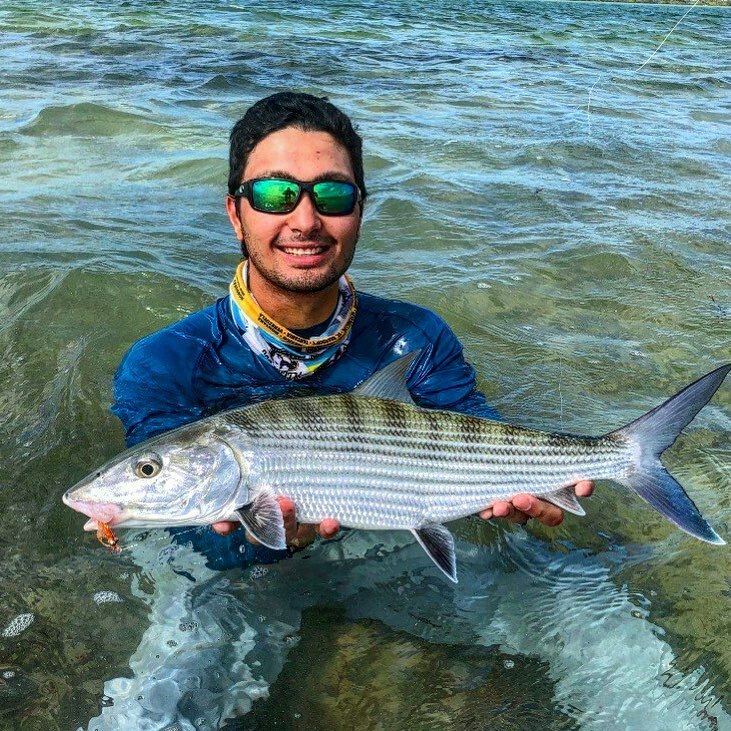 Come to fish Belize with us in 2019! Lots of bonefish pins handed out this week. Several large bones were landed on the fly. Permit were caught both on fly and spin. Including one 20 pounds + by Sam with Capt. Kechu on a fly rod. Most of the tarpon action was for juveniles around the Mangroves, as strong winds kept boats off the larger flats.